British missile test range, occupying a good portion of northwest South Uist island in the Hebrides. Aside from missile testing, it has also been used for launch of Skua and Petrel meteorological rockets. AKA: Royal Artillery Guided Weapons Range. First Launch: 1962-01-01. Last Launch: 1982-03-23. Number: 226 . Location: Hebrides. Longitude: -7.33 deg. Latitude: 57.33 deg. Family: Suborbital Launch Site. Country: UK. Launch Vehicles: Skua 1, Petrel 1. Agency: MoD. Bibliography: 2, 572, 9552. 1962 - . Launch Site: South Uist. Launch Vehicle: Skua. Test / aeronomy mission - . Nation: UK. Agency: MO-UK. Apogee: 70 km (43 mi). 1964 January 12 - . 16:00 GMT - . Launch Site: South Uist. Launch Vehicle: Skua. Wind,Temp - . Nation: UK. Apogee: 50 km (31 mi). 1964 January 15 - . 19:00 GMT - . Launch Site: South Uist. Launch Vehicle: Skua. Wind,Temp - . Nation: UK. Apogee: 57 km (35 mi). 1964 January 17 - . 20:00 GMT - . Launch Site: South Uist. Launch Vehicle: Skua. Wind,Temp - . Nation: UK. Apogee: 65 km (40 mi). 1964 January 23 - . 23:00 GMT - . Launch Site: South Uist. Launch Vehicle: Skua. Wind,Temp - . Nation: UK. Apogee: 40 km (24 mi). 1966 February 8 - . 20:00 GMT - . Launch Site: South Uist. Launch Vehicle: Skua. Aeronomy mission - . Nation: UK. Agency: MO-UK. Apogee: 62 km (38 mi). 1966 February 10 - . 20:00 GMT - . Launch Site: South Uist. Launch Vehicle: Skua. 1966 February 12 - . 20:00 GMT - . Launch Site: South Uist. Launch Vehicle: Skua. 1966 February 14 - . 20:00 GMT - . Launch Site: South Uist. Launch Vehicle: Skua. 1966 February 18 - . 20:00 GMT - . Launch Site: South Uist. Launch Vehicle: Skua. Aeronomy mission - . Nation: UK. Agency: MO-UK. Apogee: 64 km (39 mi). 1966 February 21 - . 22:00 GMT - . Launch Site: South Uist. Launch Vehicle: Skua. 1966 February 23 - . 20:00 GMT - . Launch Site: South Uist. Launch Vehicle: Skua. Aeronomy mission - . Nation: UK. Agency: MO-UK. Apogee: 65 km (40 mi). 1966 February 26 - . 20:00 GMT - . Launch Site: South Uist. Launch Vehicle: Skua. Aeronomy mission - . Nation: UK. Agency: MO-UK. Apogee: 57 km (35 mi). 1966 February 28 - . 20:00 GMT - . Launch Site: South Uist. Launch Vehicle: Skua. 1966 March 2 - . 20:00 GMT - . Launch Site: South Uist. Launch Vehicle: Skua. 1966 March 4 - . 20:00 GMT - . Launch Site: South Uist. Launch Vehicle: Skua. 1966 March 7 - . 20:00 GMT - . Launch Site: South Uist. Launch Vehicle: Skua. Aeronomy mission - . Nation: UK. Agency: MO-UK. Apogee: 68 km (42 mi). 1966 March 9 - . 20:00 GMT - . Launch Site: South Uist. Launch Vehicle: Skua. 1966 April 18 - . 21:53 GMT - . Launch Site: South Uist. Launch Vehicle: Skua. Aeronomy mission - . Nation: UK. Agency: SRC. Apogee: 69 km (42 mi). 1966 April 21 - . 22:03 GMT - . Launch Site: South Uist. Launch Vehicle: Skua. 1966 June 3 - . 08:48 GMT - . Launch Site: South Uist. Launch Vehicle: Skua. Aeronomy mission - . Nation: USA. Agency: MO-UK. Apogee: 70 km (43 mi). 1966 September 27 - . 20:37 GMT - . Launch Site: South Uist. Launch Vehicle: Skua. Aeronomy mission - . Nation: UK. Agency: MO-UK. Apogee: 59 km (36 mi). 1967 June 1 - . Launch Site: South Uist. Launch Vehicle: Petrel. Test launch - . Nation: UK. Agency: SRC. Apogee: 140 km (80 mi). 1967 Q3? - . Launch Site: South Uist. Launch Vehicle: Petrel. 1967 July 8 - . 00:10 GMT - . Launch Site: South Uist. Launch Vehicle: Skua. D-region Ionosphere mission - . Nation: UK. Agency: SRC. Apogee: 73 km (45 mi). 1967 July 12 - . 00:11 GMT - . Launch Site: South Uist. Launch Vehicle: Skua. D-region Ionosphere mission - . Nation: UK. Agency: SRC. Apogee: 81 km (50 mi). 1968 Q1? - . Launch Site: South Uist. Launch Vehicle: Petrel. Test - . Nation: UK. Agency: SRC. Apogee: 140 km (80 mi). 1968 February 3 - . 17:12 GMT - . Launch Site: South Uist. Launch Vehicle: Petrel. Electrons Ionosphere mission - . Nation: UK. Agency: SRC. Apogee: 140 km (80 mi). 1968 February 29 - . 21:18 GMT - . Launch Site: South Uist. Launch Vehicle: Petrel. 1968 March 6 - . 16:36 GMT - . Launch Site: South Uist. Launch Vehicle: Petrel. C / D / E electrons Ionosphere mission - . Nation: UK. Agency: SRC. Apogee: 140 km (80 mi). 1968 March 25 - . 21:14 GMT - . Launch Site: South Uist. Launch Vehicle: Petrel. C / D / E electrons Ionosphere mission - . Nation: UK. Agency: SRC. Apogee: 135 km (83 mi). 1968 March 29 - . 13:53 GMT - . Launch Site: South Uist. Launch Vehicle: Skua. Ionosphere mission - . Nation: UK. Agency: SRC. Apogee: 88 km (54 mi). 1968 May 29 - . 13:15 GMT - . Launch Site: South Uist. Launch Vehicle: Petrel. Langmuir probe Ionosphere mission - . Nation: UK. Agency: SRC. Apogee: 140 km (80 mi). 1968 June 1 - . 17:50 GMT - . Launch Site: South Uist. Launch Vehicle: Petrel. Langmuir probe Ionosphere mission - . Nation: UK. Agency: SRC. Apogee: 131 km (81 mi). 1968 June 21 - . 12:28 GMT - . Launch Site: South Uist. Launch Vehicle: Skua. FAILURE: Failure. Ionosphere mission - . Nation: UK. Agency: SRC. Apogee: 0 km (0 mi). 1968 June 22 - . 15:15 GMT - . Launch Site: South Uist. Launch Vehicle: Skua. Ionosphere/Solar X-ray mission - . Nation: UK. Agency: SRC. Apogee: 101 km (62 mi). 1968 July 2 - . 13:43 GMT - . Launch Site: South Uist. Launch Vehicle: Skua. Ionosphere mission - . Nation: UK. Agency: SRC. Apogee: 90 km (55 mi). 1968 July 8 - . 14:55 GMT - . Launch Site: South Uist. Launch Vehicle: Skua. Ionosphere mission - . Nation: UK. Agency: SRC. Apogee: 100 km (60 mi). 1968 August 1 - . 10:27 GMT - . Launch Site: South Uist. Launch Vehicle: Petrel. Solar X-rays / La / ne Ionosphere / solar x-rays mission - . Nation: UK. Agency: SRC. Apogee: 145 km (90 mi). 1968 August 7 - . 13:12 GMT - . Launch Site: South Uist. Launch Vehicle: Skua. Ionosphere mission - . Nation: UK. Agency: SRC. Apogee: 94 km (58 mi). 1968 November 8 - . 12:00 GMT - . Launch Site: South Uist. Launch Vehicle: Skua. 1968 November 11 - . 08:00 GMT - . Launch Site: South Uist. Launch Vehicle: Petrel. C / D / E electrons / SpE Ionosphere mission - . Nation: UK. Agency: SRC. Apogee: 142 km (88 mi). 1968 November 16 - . 11:49 GMT - . Launch Site: South Uist. Launch Vehicle: Skua. 1968 November 22 - . 12:56 GMT - . Launch Site: South Uist. Launch Vehicle: Skua. 1968 November 30 - . 14:57 GMT - . Launch Site: South Uist. Launch Vehicle: Petrel. D-region Ionosphere mission - . Nation: UK. Agency: SRC. Apogee: 140 km (80 mi). 1968 December 5 - . 11:36 GMT - . Launch Site: South Uist. Launch Vehicle: Skua. Ionosphere mission - . Nation: UK. Agency: SRC. Apogee: 111 km (68 mi). 1968 December 5 - . 13:48 GMT - . Launch Site: South Uist. Launch Vehicle: Skua. Ionosphere mission - . Nation: UK. Agency: SRC. Apogee: 92 km (57 mi). 1968 December 5 - . 15:29 GMT - . Launch Site: South Uist. Launch Vehicle: Petrel. D-region Ionosphere mission - . Nation: UK. Agency: SRC. Apogee: 144 km (89 mi). 1968 December 9 - . 13:17 GMT - . Launch Site: South Uist. Launch Vehicle: Petrel. Winter abs / Strato Ionosphere mission - . Nation: UK. Agency: SRC. Apogee: 118 km (73 mi). 1969 January 5 - . 16:41 GMT - . Launch Site: South Uist. Launch Vehicle: Skua. Meteorological mission - . Nation: UK. Agency: MO-UK. Apogee: 54 km (33 mi). 1969 January 7 - . 18:48 GMT - . Launch Site: South Uist. Launch Vehicle: Skua. 1969 January 8 - . 18:33 GMT - . Launch Site: South Uist. Launch Vehicle: Skua. Meteorological mission - . Nation: UK. Agency: MO-UK. Apogee: 60 km (37 mi). 1969 January 10 - . 17:55 GMT - . Launch Site: South Uist. Launch Vehicle: Skua. Meteorological mission - . Nation: UK. Agency: MO-UK. Apogee: 53 km (32 mi). 1969 January 13 - . 18:01 GMT - . Launch Site: South Uist. Launch Vehicle: Skua. Meteorological mission - . Nation: UK. Agency: MO-UK. Apogee: 61 km (37 mi). 1969 January 15 - . 18:47 GMT - . Launch Site: South Uist. Launch Vehicle: Skua. Meteorological mission - . Nation: UK. Agency: MO-UK. Apogee: 56 km (34 mi). 1969 January 18 - . 17:48 GMT - . Launch Site: South Uist. Launch Vehicle: Skua. Meteorological mission - . Nation: UK. Agency: MO-UK. Apogee: 64 km (39 mi). 1969 January 27 - . 18:57 GMT - . Launch Site: South Uist. Launch Vehicle: Skua. Meteorological mission - . Nation: UK. Agency: MO-UK. Apogee: 39 km (24 mi). 1969 June 18 - . 12:50 GMT - . Launch Site: South Uist. Launch Vehicle: Petrel. Solar X-rays / La / ne Ionosphere / solar x-ray mission - . Nation: UK. Agency: SRC. Apogee: 137 km (85 mi). 1969 June 19 - . 16:06 GMT - . Launch Site: South Uist. Launch Vehicle: Petrel. Solar X-rays / La / ne Ionosphere / solar x-rays mission - . Nation: UK. Agency: SRC. Apogee: 136 km (84 mi). 1969 July 28 - . 14:15 GMT - . Launch Site: South Uist. Launch Vehicle: Petrel. SpE fine scale Ionosphere mission - . Nation: UK. Agency: SRC. Apogee: 121 km (75 mi). 1969 August 2 - . 11:37 GMT - . Launch Site: South Uist. Launch Vehicle: Petrel. SpE fine scale Ionosphere mission - . Nation: UK. Agency: SRC. Apogee: 126 km (78 mi). 1969 September 15 - . 13:34 GMT - . Launch Site: South Uist. Launch Vehicle: Petrel. 1969 September 30 - . 22:40 GMT - . Launch Site: South Uist. Launch Vehicle: Petrel. Night D / E-region Ionosphere mission - . Nation: UK. Agency: SRC. Apogee: 140 km (80 mi). 1969 October 1 - . 01:20 GMT - . Launch Site: South Uist. Launch Vehicle: Petrel. 1969 October 1 - . 04:19 GMT - . Launch Site: South Uist. Launch Vehicle: Petrel. 1969 October 10 - . 06:50 GMT - . Launch Site: South Uist. Launch Vehicle: Petrel. SpE Ionosphere mission - . Nation: UK. Agency: SRC. Apogee: 130 km (80 mi). 1969 October 11 - . 19:36 GMT - . Launch Site: South Uist. Launch Vehicle: Petrel. E fields Ionosphere mission - . Nation: UK. Agency: SRC. Apogee: 140 km (80 mi). 1969 October 14 - . 18:43 GMT - . Launch Site: South Uist. Launch Vehicle: Petrel. D / E regions Ionosphere mission - . Nation: UK. Agency: SRC. Apogee: 140 km (80 mi). 1969 October 17 - . 07:05 GMT - . Launch Site: South Uist. Launch Vehicle: Petrel. SpE Ionosphere mission - . Nation: UK. Agency: SRC. Apogee: 140 km (80 mi). 1969 November 26 - . 19:09 GMT - . Launch Site: South Uist. Launch Vehicle: Skua. Meteorological mission - . Nation: UK. Agency: MO-UK. Apogee: 50 km (31 mi). 1969 November 29 - . 17:43 GMT - . Launch Site: South Uist. Launch Vehicle: Skua. 1969 December 2 - . 18:30 GMT - . Launch Site: South Uist. Launch Vehicle: Skua. 1969 December 4 - . 18:17 GMT - . Launch Site: South Uist. Launch Vehicle: Skua. 1969 December 8 - . 17:54 GMT - . Launch Site: South Uist. Launch Vehicle: Skua. 1969 December 11 - . 18:00 GMT - . Launch Site: South Uist. Launch Vehicle: Skua. 1969 December 12 - . 13:04 GMT - . Launch Site: South Uist. Launch Vehicle: Skua. Ionosphere mission - . Nation: UK. Agency: SRC. Apogee: 79 km (49 mi). 1969 December 16 - . 14:43 GMT - . Launch Site: South Uist. Launch Vehicle: Skua. Ionosphere mission - . Nation: UK. Agency: SRC. Apogee: 89 km (55 mi). 1969 December 17 - . 17:53 GMT - . Launch Site: South Uist. Launch Vehicle: Skua. Meteorological mission - . Nation: UK. Agency: MO-UK. Apogee: 36 km (22 mi). 1969 December 19 - . 17:35 GMT - . Launch Site: South Uist. Launch Vehicle: Skua. Meteorological mission - . Nation: UK. Agency: MO-UK. Apogee: 62 km (38 mi). 1969 December 23 - . 17:20 GMT - . Launch Site: South Uist. Launch Vehicle: Skua. 1969 December 27 - . 17:36 GMT - . Launch Site: South Uist. Launch Vehicle: Skua. Meteorological mission - . Nation: UK. Agency: MO-UK. Apogee: 55 km (34 mi). 1969 December 29 - . 18:46 GMT - . Launch Site: South Uist. Launch Vehicle: Skua. 1969 December 30 - . 17:45 GMT - . Launch Site: South Uist. Launch Vehicle: Skua. Meteorological mission - . Nation: UK. Agency: MO-UK. Apogee: 63 km (39 mi). 1970 January 9 - . 14:17 GMT - . Launch Site: South Uist. Launch Vehicle: Skua. Ionosphere mission - . Nation: UK. Agency: SRC. Apogee: 82 km (50 mi). 1970 January 12 - . 13:53 GMT - . Launch Site: South Uist. Launch Vehicle: Skua. Aeronomy mission - . Nation: UK. Agency: SRC. Apogee: 85 km (52 mi). 1970 February 21 - . 12:35 GMT - . Launch Site: South Uist. Launch Vehicle: Petrel. UK-4 instrumented prototype Ionosphere mission - . Nation: UK. Agency: SRC. Apogee: 148 km (91 mi). 1970 April 11 - . 13:06 GMT - . Launch Site: South Uist. Launch Vehicle: Skua. 1970 April 11 - . 16:06 GMT - . Launch Site: South Uist. Launch Vehicle: Skua. 1970 April 14 - . 09:15 GMT - . Launch Site: South Uist. Launch Vehicle: Skua. 1970 April 14 - . 12:33 GMT - . Launch Site: South Uist. Launch Vehicle: Skua. 1970 April 17 - . 13:06 GMT - . Launch Site: South Uist. Launch Vehicle: Skua. Ionosphere mission - . Nation: UK. Agency: SRC. Apogee: 95 km (59 mi). 1970 April 21 - . 20:42 GMT - . Launch Site: South Uist. Launch Vehicle: Petrel. Particles Ionosphere mission - . Nation: UK. Agency: SRC. Apogee: 139 km (86 mi). 1970 June 24 - . 15:09 GMT - . Launch Site: South Uist. Launch Vehicle: Skua. 1970 June 27 - . 17:27 GMT - . Launch Site: South Uist. Launch Vehicle: Petrel. 1970 July 1 - . 15:06 GMT - . Launch Site: South Uist. Launch Vehicle: Skua. 1970 September 8 - . 05:07 GMT - . Launch Site: South Uist. Launch Vehicle: Petrel. D / E regions Ionosphere mission - . Nation: UK. Agency: SRC. Apogee: 148 km (91 mi). 1970 September 8 - . 19:01 GMT - . Launch Site: South Uist. Launch Vehicle: Petrel. D / E regions Ionosphere mission - . Nation: UK. Agency: SRC. Apogee: 149 km (92 mi). 1970 September 11 - . 05:59 GMT - . Launch Site: South Uist. Launch Vehicle: Petrel. 1970 September 18 - . 11:39 GMT - . Launch Site: South Uist. Launch Vehicle: Petrel. Winter Anomaly / Stratosphere Ionosphere mission - . Nation: UK. Agency: SRC. Apogee: 144 km (89 mi). 1970 November 12 - . 12:30 GMT - . Launch Site: South Uist. Launch Vehicle: Petrel. Winter Anomaly / Stratosphere Ionosphere mission - . Nation: UK. Agency: SRC. Apogee: 85 km (52 mi). 1970 November 16 - . 20:00 GMT - . Launch Site: South Uist. Launch Vehicle: Petrel. Particles Ionosphere mission - . Nation: UK. Agency: SRC. Apogee: 140 km (80 mi). 1970 November 19 - . 06:16 GMT - . Launch Site: South Uist. Launch Vehicle: Petrel. VLF fields Ionosphere mission - . Nation: UK. Agency: SRC. Apogee: 129 km (80 mi). 1970 December 2 - . 13:03 GMT - . Launch Site: South Uist. Launch Vehicle: Petrel. FAILURE: Failure. D-region Ionosphere mission - . Nation: UK. Agency: SRC. Apogee: 38 km (23 mi). 1971 January 20 - . Launch Site: South Uist. Launch Vehicle: Skua. Aeronomy mission - . Nation: UK. Agency: MO-UK. Apogee: 60 km (37 mi). 1971 January 22 - . Launch Site: South Uist. Launch Vehicle: Skua. 1971 January 23 - . Launch Site: South Uist. Launch Vehicle: Skua. Aeronomy mission - . Nation: UK. Agency: MO-UK. Apogee: 55 km (34 mi). 1971 January 25 - . Launch Site: South Uist. Launch Vehicle: Skua. 1971 January 28 - . Launch Site: South Uist. Launch Vehicle: Skua. Aeronomy mission - . Nation: UK. Agency: MO-UK. Apogee: 47 km (29 mi). 1971 February 1 - . Launch Site: South Uist. Launch Vehicle: Skua. Aeronomy mission - . Nation: UK. Agency: MO-UK. Apogee: 58 km (36 mi). 1971 February 3 - . Launch Site: South Uist. Launch Vehicle: Skua. 1971 February 5 - . Launch Site: South Uist. Launch Vehicle: Skua. 1971 February 10 - . Launch Site: South Uist. Launch Vehicle: Skua. 1971 June 25 - . 11:30 GMT - . Launch Site: South Uist. Launch Vehicle: Petrel. 1971 June 26 - . 19:44 GMT - . Launch Site: South Uist. Launch Vehicle: Petrel. Solar La / X / ne Ionosphere / solar extreme ultraviolet mission - . Nation: UK. Agency: SRC. Apogee: 143 km (88 mi). 1971 June 28 - . 12:25 GMT - . Launch Site: South Uist. Launch Vehicle: Petrel. 1971 July 1 - . Launch Site: South Uist. Launch Vehicle: Skua. ionosphere / Neutral atmosphere Aeronomy mission - . Nation: UK. Agency: SRC. Apogee: 89 km (55 mi). 1971 July 14 - . 12:50 GMT - . Launch Site: South Uist. Launch Vehicle: Skua. 1971 July 14 - . 21:00 GMT - . Launch Site: South Uist. Launch Vehicle: Petrel. Electron analyser Ionosphere mission - . Nation: UK. Agency: SRC. Apogee: 143 km (88 mi). 1971 July 14 - . 22:04 GMT - . Launch Site: South Uist. Launch Vehicle: Petrel. Electron analyser Ionosphere mission - . Nation: UK. Agency: SRC. Apogee: 142 km (88 mi). 1971 July 30 - . 12:34 GMT - . Launch Site: South Uist. Launch Vehicle: Skua. 1971 September 13 - . 21:14 GMT - . Launch Site: South Uist. Launch Vehicle: Petrel. FAILURE: Failure. Night D / E regions Ionosphere mission - . Nation: UK. Agency: SRC. Apogee: 18 km (11 mi). 1971 September 15 - . 13:22 GMT - . Launch Site: South Uist. Launch Vehicle: Skua. 1971 September 22 - . 12:41 GMT - . Launch Site: South Uist. Launch Vehicle: Petrel. Solar La / X / ne Ionosphere-solar mission Ionosphere-solar mission - . Nation: UK. Agency: SRC. Apogee: 138 km (85 mi). 1971 September 24 - . 17:26 GMT - . Launch Site: South Uist. Launch Vehicle: Petrel. Solar La / X / ne Ionosphere-solar mission Ionosphere-solar mission - . Nation: UK. Agency: SRC. Apogee: 125 km (77 mi). 1971 September 28 - . 11:48 GMT - . Launch Site: South Uist. Launch Vehicle: Petrel. Winter Anomaly / Stratosphere Ionosphere mission - . Nation: UK. Agency: SRC. Apogee: 142 km (88 mi). 1971 October 14 - . 11:55 GMT - . Launch Site: South Uist. Launch Vehicle: Skua. Ionosphere mission - . Nation: UK. Agency: SRC. Apogee: 91 km (56 mi). 1971 November 19 - . 11:53 GMT - . Launch Site: South Uist. Launch Vehicle: Skua. 1971 December 1 - . 13:34 GMT - . Launch Site: South Uist. Launch Vehicle: Petrel. D-region Ionosphere mission - . Nation: UK. Agency: SRC. Apogee: 146 km (90 mi). 1971 December 3 - . 12:58 GMT - . Launch Site: South Uist. Launch Vehicle: Petrel. 1971 December 6 - . 14:03 GMT - . Launch Site: South Uist. Launch Vehicle: Petrel. D-region Ionosphere mission - . Nation: UK. Agency: SRC. Apogee: 145 km (90 mi). 1971 December 7 - . 13:10 GMT - . Launch Site: South Uist. Launch Vehicle: Petrel. 1971 December 10 - . 12:22 GMT - . Launch Site: South Uist. Launch Vehicle: Petrel. Electron temp Ionosphere mission - . Nation: UK. Agency: SRC. Apogee: 140 km (80 mi). 1972 January 15 - . 12:14 GMT - . Launch Site: South Uist. Launch Vehicle: Skua. Ionosphere mission - . Nation: UK. Agency: SRC. Apogee: 87 km (54 mi). 1972 January 15 - . 13:37 GMT - . Launch Site: South Uist. Launch Vehicle: Petrel. Solar La / X / ne Ionosphere / solar x-rays mission - . Nation: UK. Agency: SRC. Apogee: 147 km (91 mi). 1972 January 22 - . 12:44 GMT - . Launch Site: South Uist. Launch Vehicle: Petrel. Solar La / X / ne Ionosphere / solar x-rays mission - . Nation: UK. Agency: SRC. Apogee: 142 km (88 mi). 1972 February 17 - . 13:48 GMT - . Launch Site: South Uist. Launch Vehicle: Petrel. Faraday rotation Ionosphere mission - . Nation: UK. Agency: SRC. Apogee: 134 km (83 mi). 1972 February 18 - . 12:38 GMT - . Launch Site: South Uist. Launch Vehicle: Petrel. E-region multiprobe Ionosphere mission - . Nation: UK. Agency: SRC. Apogee: 25 km (15 mi). 1972 April 19 - . 11:37 GMT - . Launch Site: South Uist. Launch Vehicle: Skua. 1972 May 17 - . 11:34 GMT - . Launch Site: South Uist. Launch Vehicle: Skua. Ionosphere mission - . Nation: UK. Agency: SRC. Apogee: 93 km (57 mi). 1972 August 29 - . 11:12 GMT - . Launch Site: South Uist. Launch Vehicle: Petrel. E-region multiprobe Ionosphere mission - . Nation: UK. Agency: SRC. Apogee: 140 km (80 mi). 1972 August 29 - . 13:12 GMT - . Launch Site: South Uist. Launch Vehicle: Petrel. Solar La / X Solar ultraviolet and x-ray mission - . Nation: UK. Agency: SRC. Apogee: 135 km (83 mi). 1972 August 30 - . 22:02 GMT - . Launch Site: South Uist. Launch Vehicle: Petrel. Scattered La Ionosphere / aeronomy mission - . Nation: UK. Agency: SRC. Apogee: 118 km (73 mi). 1972 August 31 - . 00:02 GMT - . Launch Site: South Uist. Launch Vehicle: Petrel. Scattered La Ionosphere mission - . Nation: UK. Agency: SRC. Apogee: 146 km (90 mi). 1972 August 31 - . 02:16 GMT - . Launch Site: South Uist. Launch Vehicle: Petrel. Scattered La Ionosphere mission - . Nation: UK. Agency: SRC. Apogee: 126 km (78 mi). 1973 February 19 - . 13:17 GMT - . Launch Site: South Uist. Launch Vehicle: Petrel. Composition Ionosphere mission - . Nation: UK. Agency: SRC. Apogee: 124 km (77 mi). 1973 February 22 - . 13:04 GMT - . Launch Site: South Uist. Launch Vehicle: Petrel. Electrons / La Ionosphere mission - . Nation: UK. Agency: SRC. Apogee: 126 km (78 mi). 1973 February 23 - . 13:48 GMT - . Launch Site: South Uist. Launch Vehicle: Petrel. Electrons / La Ionosphere mission - . Nation: UK. Agency: SRC. Apogee: 140 km (80 mi). 1973 March 20 - . 03:41 GMT - . Launch Site: South Uist. Launch Vehicle: Petrel. Dawn chorus Ionosphere mission - . Nation: UK. Agency: SRC. Apogee: 129 km (80 mi). 1973 March 31 - . 03:17 GMT - . Launch Site: South Uist. Launch Vehicle: Petrel. Dawn chorus Ionosphere mission - . Nation: UK. Agency: SRC. Apogee: 126 km (78 mi). 1973 April 3 - . 06:09 GMT - . Launch Site: South Uist. Launch Vehicle: Petrel. D-Region / Solar La / X Ionosphere-solar mission Ionosphere-solar mission - . Nation: UK. Agency: SRC. Apogee: 131 km (81 mi). 1973 April 3 - . 06:54 GMT - . Launch Site: South Uist. Launch Vehicle: Petrel. D-Region / Solar La / X Ionosphere-solar mission Ionosphere-solar mission - . Nation: UK. Agency: SRC. Apogee: 132 km (82 mi). 1973 April 3 - . 08:14 GMT - . Launch Site: South Uist. Launch Vehicle: Petrel. D-Region / Solar La / X Ionosphere-solar mission Ionosphere-solar mission - . Nation: UK. Agency: SRC. Apogee: 137 km (85 mi). 1973 April 3 - . 09:48 GMT - . Launch Site: South Uist. Launch Vehicle: Petrel. D-Region / Solar La / X Ionosphere-solar mission Ionosphere-solar mission - . Nation: UK. Agency: SRC. Apogee: 139 km (86 mi). 1973 April 3 - . 14:52 GMT - . Launch Site: South Uist. Launch Vehicle: Petrel. D-Region / Solar La / X Ionosphere-solar mission Ionosphere-solar mission - . Nation: UK. Agency: SRC. Apogee: 140 km (80 mi). 1973 April 3 - . 16:15 GMT - . Launch Site: South Uist. Launch Vehicle: Petrel. D-Region / Solar La / X Ionosphere-solar mission Ionosphere-solar mission - . Nation: UK. Agency: SRC. Apogee: 136 km (84 mi). 1973 April 3 - . 17:44 GMT - . Launch Site: South Uist. Launch Vehicle: Petrel. D-Region / Solar La / X Ionosphere-solar mission Ionosphere-solar mission - . Nation: UK. Agency: SRC. Apogee: 134 km (83 mi). 1973 May 19 - . 11:11 GMT - . Launch Site: South Uist. Launch Vehicle: Petrel. XRB scintillator tel X-ray astronomy mission - . Nation: UK. Agency: SRC. Apogee: 137 km (85 mi). 1973 June 29 - . 11:59 GMT - . Launch Site: South Uist. Launch Vehicle: Petrel. Composition Ionosphere mission - . Nation: UK. Agency: SRC. Apogee: 140 km (80 mi). 1973 July 2 - . 12:30 GMT - . Launch Site: South Uist. Launch Vehicle: Petrel. Composition Ionosphere mission - . Nation: UK. Agency: SRC. Apogee: 136 km (84 mi). 1973 July 23 - . 12:23 GMT - . Launch Site: South Uist. Launch Vehicle: Petrel. XRB scintillator tel X-ray astronomy mission - . Nation: UK. Agency: SRC. Apogee: 143 km (88 mi). 1973 September 3 - . 00:03 GMT - . Launch Site: South Uist. Launch Vehicle: Petrel. Airglow Atmospheric mission - . Nation: UK. Agency: SRC. Apogee: 135 km (83 mi). 1973 September 3 - . 02:04 GMT - . Launch Site: South Uist. Launch Vehicle: Petrel. Airglow Atmospheric mission - . Nation: UK. Agency: SRC. Apogee: 143 km (88 mi). 1973 September 6 - . 11:39 GMT - . Launch Site: South Uist. Launch Vehicle: Petrel. Composition / La Ionosphere mission - . Nation: UK. Agency: SRC. Apogee: 131 km (81 mi). 1973 September 10 - . 00:02 GMT - . Launch Site: South Uist. Launch Vehicle: Petrel. TMA Atmospheric mission - . Nation: UK. Agency: SRC. Apogee: 170 km (100 mi). 1973 September 10 - . 04:18 GMT - . Launch Site: South Uist. Launch Vehicle: Petrel. TMA Atmospheric mission - . Nation: UK. Agency: SRC. Apogee: 168 km (104 mi). 1973 September 15 - . 04:36 GMT - . Launch Site: South Uist. Launch Vehicle: Petrel. ELF / VLF Ionosphere mission - . Nation: UK. Agency: SRC. Apogee: 124 km (77 mi). 1974 April 1 - . 22:37 GMT - . Launch Site: South Uist. Launch Vehicle: Petrel. Atomic oxygen Atmospheric mission - . Nation: UK. Agency: SRC. Apogee: 142 km (88 mi). 1974 April 1 - . 22:56 GMT - . Launch Site: South Uist. Launch Vehicle: Petrel. Atomic oxygen Atmospheric mission - . Nation: UK. Agency: SRC. Apogee: 134 km (83 mi). 1974 April 3 - . 05:24 GMT - . Launch Site: South Uist. Launch Vehicle: Petrel. Atomic oxygen Atmospheric mission - . Nation: UK. Agency: SRC. Apogee: 133 km (82 mi). 1974 April 3 - . 05:40 GMT - . Launch Site: South Uist. Launch Vehicle: Petrel. 1974 April 30 - . 16:55 GMT - . Launch Site: South Uist. Launch Vehicle: Petrel. Quiet ionosphere Ionosphere mission - . Nation: UK. Agency: SRC. Apogee: 126 km (78 mi). 1974 September 3 - . 23:25 GMT - . Launch Site: South Uist. Launch Vehicle: Petrel. Plasmapause flux Ionosphere mission - . Nation: UK. Agency: SRC. Apogee: 136 km (84 mi). 1974 September 6 - . 23:59 GMT - . Launch Site: South Uist. LV Family: Petrel. Launch Vehicle: Petrel 2. Plasmapause flux Ionosphere mission - . Nation: UK. Agency: SRC. Apogee: 174 km (108 mi). 1974 September 11 - . 11:02 GMT - . Launch Site: South Uist. Launch Vehicle: Petrel. Mass spectrometer Atmospheric mission - . Nation: UK. Agency: SRC. Apogee: 135 km (83 mi). 1974 September 24 - . 23:17 GMT - . Launch Site: South Uist. Launch Vehicle: Petrel. Airglow Atmospheric mission - . Nation: UK. Agency: SRC. Apogee: 136 km (84 mi). 1974 September 27 - . 02:09 GMT - . Launch Site: South Uist. Launch Vehicle: Petrel. 1974 September 28 - . 11:32 GMT - . Launch Site: South Uist. Launch Vehicle: Petrel. Electron density Ionosphere mission - . Nation: UK. Agency: SRC. Apogee: 119 km (73 mi). 1974 November 29 - . 10:17 GMT - . Launch Site: South Uist. Launch Vehicle: Petrel. Ionosphere mission - . Nation: UK. Agency: SRC. Apogee: 118 km (73 mi). 1974 November 29 - . 10:53 GMT - . Launch Site: South Uist. Launch Vehicle: Petrel. 1974 November 29 - . 12:09 GMT - . Launch Site: South Uist. Launch Vehicle: Petrel. Atomic oxygen Atmospheric mission - . Nation: UK. Agency: SRC. Apogee: 123 km (76 mi). 1974 December 2 - . 12:36 GMT - . Launch Site: South Uist. Launch Vehicle: Petrel. Atmospheric mission - . Nation: UK. Agency: SRC. Apogee: 129 km (80 mi). 1974 December 7 - . 20:37 GMT - . Launch Site: South Uist. Launch Vehicle: Petrel. Atmospheric mission - . Nation: UK. Agency: SRC. Apogee: 101 km (62 mi). 1974 December 7 - . 20:58 GMT - . Launch Site: South Uist. Launch Vehicle: Petrel. Aeronomy / ionosphere mission - . Nation: UK. Agency: SRC. Apogee: 132 km (82 mi). 1974 December 7 - . 22:26 GMT - . Launch Site: South Uist. Launch Vehicle: Petrel. Atmospheric mission - . Nation: UK. Agency: SRC. Apogee: 137 km (85 mi). 1974 December 7 - . 22:53 GMT - . Launch Site: South Uist. Launch Vehicle: Petrel. Airglow Atmospheric mission - . Nation: UK. Agency: SRC. Apogee: 138 km (85 mi). 1975 May 3 - . 19:00 GMT - . Launch Site: South Uist. Launch Vehicle: Petrel. Electron density Ionosphere mission - . Nation: UK. Agency: SRC. Apogee: 111 km (68 mi). 1975 September 8 - . Launch Site: South Uist. Launch Vehicle: Petrel. Atomic oxygen Atmospheric mission - . Nation: UK. Agency: SRC. Apogee: 141 km (87 mi). 1975 September 9 - . Launch Site: South Uist. Launch Vehicle: Petrel. Airglow Atmospheric mission - . Nation: UK. Agency: SRC. Apogee: 130 km (80 mi). Electron density Ionosphere mission - . Nation: UK. Agency: SRC. Apogee: 129 km (80 mi). 1975 November 28 - . 12:28 GMT - . Launch Site: South Uist. Launch Vehicle: Petrel. 1975 November 28 - . 12:56 GMT - . Launch Site: South Uist. Launch Vehicle: Petrel. Atomic oxygen Atmospheric mission - . Nation: UK. Agency: SRC. Apogee: 147 km (91 mi). 1976 May 6 - . 11:44 GMT - . Launch Site: South Uist. Launch Vehicle: Petrel. Mass spectrometer Ionosphere mission - . Nation: UK. Agency: SRC. Apogee: 149 km (92 mi). 1976 May 6 - . 12:21 GMT - . Launch Site: South Uist. Launch Vehicle: Petrel. Faraday rotation Ionosphere mission - . Nation: UK. Agency: SRC. Apogee: 137 km (85 mi). 1976 June 4 - . 04:23 GMT - . Launch Site: South Uist. Launch Vehicle: Petrel. E field / VLF Ionosphere mission - . Nation: UK. Agency: SRC. Apogee: 143 km (88 mi). 1976 June 4 - . 04:39 GMT - . Launch Site: South Uist. Launch Vehicle: Petrel. 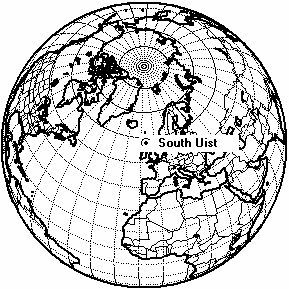 VLF Ionosphere mission - . Nation: UK. Agency: SRC. Apogee: 132 km (82 mi). 1976 July 5 - . 11:44 GMT - . Launch Site: South Uist. Launch Vehicle: Petrel. Atomic oxygen Atmospheric mission - . Nation: UK. Agency: SRC. Apogee: 135 km (83 mi). 1977 February 7 - . 21:40 GMT - . Launch Site: South Uist. Launch Vehicle: Petrel. Ozone / La / ne Atmospheric mission - . Nation: UK. Agency: MO-UK. Apogee: 127 km (78 mi). 1977 February 7 - . 22:05 GMT - . Launch Site: South Uist. Launch Vehicle: Petrel. Aeronomy / ionosphere mission - . Nation: UK. Agency: SRC. Apogee: 46 km (28 mi). 1977 February 7 - . 23:09 GMT - . Launch Site: South Uist. Launch Vehicle: Petrel. Atmospheric mission - . Nation: UK. Agency: SRC. Apogee: 146 km (90 mi). 1977 February 7 - . 23:26 GMT - . Launch Site: South Uist. Launch Vehicle: Petrel. Ionosphere / plasma mission - . Nation: UK. Agency: SRC. Apogee: 135 km (83 mi). 1977 February 11 - . 12:33 GMT - . Launch Site: South Uist. Launch Vehicle: Petrel. Ionosphere mission - . Nation: UK. Agency: SRC. Apogee: 140 km (80 mi). 1977 February 11 - . 13:18 GMT - . Launch Site: South Uist. Launch Vehicle: Petrel. Ionosphere mission - . Nation: UK. Agency: SRC. Apogee: 132 km (82 mi). 1977 February 11 - . 13:59 GMT - . Launch Site: South Uist. Launch Vehicle: Petrel. 1977 June 27 - . 11:48 GMT - . Launch Site: South Uist. Launch Vehicle: Petrel. Atomic oxygen Atmospheric mission - . Nation: UK. Agency: SRC. Apogee: 129 km (80 mi). 1977 June 27 - . 12:06 GMT - . Launch Site: South Uist. Launch Vehicle: Petrel. O2 / ne Atmospheric mission - . Nation: UK. Agency: SRC. Apogee: 124 km (77 mi). 1978 February 2 - . 13:04 GMT - . Launch Site: South Uist. Launch Vehicle: Petrel. Atomic oxygen Atmospheric mission - . Nation: UK. Agency: SRC. Apogee: 140 km (80 mi). 1978 February 2 - . 13:33 GMT - . Launch Site: South Uist. Launch Vehicle: Petrel. Ion composition Ionosphere mission - . Nation: UK. Agency: SRC. Apogee: 112 km (69 mi). 1978 February 2 - . 13:56 GMT - . Launch Site: South Uist. Launch Vehicle: Petrel. Solar La Ionosphere / solar ultraviolet mission - . Nation: UK. Agency: SRC. Apogee: 135 km (83 mi). 1978 February 6 - . 00:20 GMT - . Launch Site: South Uist. Launch Vehicle: Petrel. Ultraviolet airglow Atmospheric mission - . Nation: UK. Agency: SRC. Apogee: 136 km (84 mi). 1978 February 6 - . 01:00 GMT - . Launch Site: South Uist. Launch Vehicle: Petrel. La / ne Ionosphere mission - . Nation: UK. Agency: SRC. Apogee: 125 km (77 mi). 1978 February 7 - . 00:30 GMT - . Launch Site: South Uist. Launch Vehicle: Petrel. Ion composition Ionosphere mission - . Nation: UK. Agency: SRC. Apogee: 108 km (67 mi). 1978 February 7 - . 01:01 GMT - . Launch Site: South Uist. Launch Vehicle: Petrel. Atomic oxygen Atmospheric mission - . Nation: UK. Agency: SRC. Apogee: 139 km (86 mi). 1978 February 13 - . Launch Site: South Uist. Launch Vehicle: Petrel. Ozone Atmospheric mission - . Nation: UK. Agency: MO-UK. Apogee: 140 km (80 mi). 1979 April 25 - . 12:24 GMT - . Launch Site: South Uist. Launch Vehicle: Petrel. Ionosphere mission - . Nation: UK. Agency: SRC. Apogee: 130 km (80 mi). 1979 July 20 - . Launch Site: South Uist. Launch Vehicle: Petrel. Atomic oxygen Aeronomy mission - . Nation: UK. Agency: SRC. Apogee: 145 km (90 mi). Atomic oxygen Aeronomy mission - . Nation: UK. Agency: SRC. Apogee: 149 km (92 mi). 1982 March 23 - . 21:27 GMT - . Launch Site: South Uist. Launch Vehicle: Petrel. ETON Aeronomy mission - . Nation: UK. Agency: SRC. Apogee: 132 km (82 mi). 1982 March 23 - . 21:48 GMT - . Launch Site: South Uist. Launch Vehicle: Petrel. ETON Aeronomy mission - . Nation: UK. Agency: SRC. Apogee: 138 km (85 mi). 1982 March 23 - . 22:10 GMT - . Launch Site: South Uist. Launch Vehicle: Petrel. ETON Aeronomy mission - . Nation: UK. Agency: SRC. Apogee: 129 km (80 mi). 1982 March 23 - . 22:57 GMT - . Launch Site: South Uist. Launch Vehicle: Petrel. ETON Aeronomy mission - . Nation: UK. Agency: SRC. Apogee: 139 km (86 mi). 1982 March 23 - . 23:12 GMT - . Launch Site: South Uist. Launch Vehicle: Petrel. ETON Aeronomy mission - . Nation: UK. Agency: SRC. Apogee: 131 km (81 mi). 1982 March 23 - . 23:28 GMT - . Launch Site: South Uist. Launch Vehicle: Petrel. ETON Aeronomy mission - . Nation: UK. Agency: SRC. Apogee: 127 km (78 mi). 1982 March 23 - . 23:55 GMT - . Launch Site: South Uist. Launch Vehicle: Petrel. 2015 October 20 - . Launch Site: South Uist. Launch Platform: DDG-71. LV Family: Standard-ER. Launch Vehicle: SM-3. Aegis KV - . Nation: USA. Type: ABM. Apogee: 100 km (60 mi). Interceptor mission. Impacted North Atlantic..
Aegis Target - . Nation: USA. Type: ABM Target. Apogee: 100 km (60 mi). US Navy missile defense test carried out in the Hebrides Range in Scotland. The target Terrier Orion rocket launched from the island of South Uist was the first exoatmospheric rocket launch from UK territory since 1982..
2017 September 25 - . Launch Site: South Uist. LV Family: Oriole. Launch Vehicle: Terrier Oriole. Aegis Target - . Nation: USA. Type: ABM Target. Apogee: 100 km (60 mi). ABM Target. Intercept over Atlantic..
2017 October 15 - . Launch Site: South Uist. LV Family: Oriole. Launch Vehicle: Terrier Oriole.